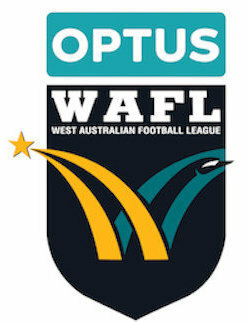 West Perth plays its first home game of 2019 at HBF Arena in a first semi-final rematch from last year up against Claremont while two losers from the opening round, East Perth and Swan Districts, lock horns at Leederville Oval. The signs are ominous for what could happen at New Choice Homes Park with the wooden spooners of last year, East Fremantle, playing the undefeated reigning premier, Subiaco. Round 2 gets underway at Fremantle Community Bank Oval with South Fremantle and Perth both looking to continue their winning starts to the 2019 season. Coming off their three straight preliminary final appearances and then losing a host of champion players, then also without Marlion Pickett and losing captain Dylan Main early, South Fremantle held on in a thriller to beat Swan Districts by four points last Saturday at Steel Blue Oval. Perth, meanwhile, could hardly have been more impressively beating West Coast by 46 points. That all points to a tremendous contest on Saturday at the port with the Bulldogs having won their past three clashes at home over the Demons. South Fremantle will still be without Pickett with Main going out of the team with his hamstring injury while last week's debutant Caleb Datson is out with a quad injury and Seaton Thompson also has a hamstring complaint. South Fremantle could blood two more debutants as a result in the form of Kyle Hamersley and Dion Munkara while Brendan Verrier and Steve Verrier are in line for a call up. There's little reason for change at Perth following the win over the Eagles but goal sneak Cody Ninyette returns to take the place of Matt Thompson. 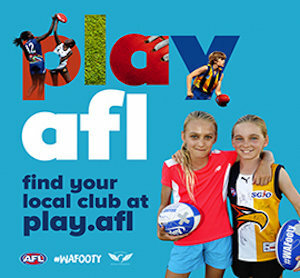 Then it's on to Optus Stadium with the Thunder taking on the Eagles as the AFL-listed players look to press their cases for a call up and the rest of the players get to soak up the atmosphere and experience of playing at the venue in the lead up to the AFL Western Derby. Peel looked in control of its contest with West Perth at home last Saturday most of the afternoon before just holding on for a three-point victory. West Coast played its first ever WAFL game as a standalone team but didn’t get the result they were after losing to Perth by 46 points. The game will be broadcast live on Channel 7 from 2pm just to add to the occasion. Peel does lose captain Ben Howlett after he was named in the WAFL Team of the Round for his performance in the win against West Perth having injured a shoulder that could keep him sidelined for up to a month. Ryan Nyhuis, Matthew Piggott and Sam Switkowski have also been named out of the side while Fremantle's Stefan Giro along with Traye Bennell, Brett Bewley and Chris Wrigley come into the team for the Thunder. West Coast's team has been strengthened with the inclusions of Matthew Allen, Hamish Brayshaw, Jackson Nelson and Luke Robilliard with Joel Ashman, Sam Lamont, Brodie Riach and Francis Watson going out. West Perth is then on home soil for the first time this season taking on Claremont at HBF Arena on Saturday. The Falcons looked to struggle for three quarters under new coach Geoff Valentine last week against Peel but the way they stormed home, they can take confidence from the way they finished despite the eventual loss. The Tigers will want to continue their momentum too, though, coming off a 76-point hammering of East Fremantle last Saturday at Claremont Oval. West Perth's back-line is strengthened with the return of Ben King with Conal Lynch and Tom Medhat also coming into the Falcons' side. Baylee James, Scott Nelson and Jacob Turner make way at West Perth for that trio. There's mixed news on the selection front for Claremont with Tom Ledger, Eddie Simpson and Alec Waterman into the team. But Haydn Busher goes out fresh off being named in the WAFL Team of the Round with a calf strain. He joins Tom Curren, Harry McCracken, Fraser Gilbert, Jacob Sideris, Jared Hardisty, Matthew Palfrey, Jake Murphy and Alex Manuel on the sidelines for Claremont. East Perth and Swan Districts were two teams who suffered losses in Round 1 as they prepare to do battle on Saturday at Leederville Oval. It was always going to be some hard yards needing to be done by East Perth on its return to being a standalone club in 2019, but there was no bigger test to start off with than taking on Subiaco. The Royals ended up losing by 79 points after being blown away early but they started to warm to the task a bit better after quarter-time against the competition's benchmark. Swan Districts played host to South Fremantle and only ended up losing by four points and it could have been different with new recruit Josh Simpson having a shot for goal that would have been the winner after the siren. From last week's team that lost to Subiaco, East Perth has called up Christian Ameduri, Jayden Magro and Shayne Hille to come in for the Royals. Meanwhile, Tarir Bayok, Mitch Howlett and Louis Miller going out. Swan Districts regains co-captain David Ellard who got through a run in the reserves last Saturday against South Fremantle. He comes in to take the place of Brad Fullgrabe who struggled to get into the game as a key forward against the Bulldogs. East Fremantle will have to significantly improve on last week to put in a competitive showing against Subiaco on home turf at New Choice Homes Park. The Sharks were hoping to dramatically improve in 2019 but there weren’t too many positive signs in last Saturday's 79-point loss to Claremont. The job is now even harder this week against the reigning premiers Subiaco coming off their own thumping win against East Perth. 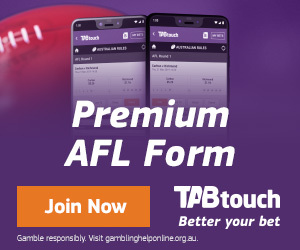 Subiaco has won its last five matches against East Fremantle by an average of 72.8 points. The Lions have also won 10 of the last 11 against the Sharks. There are plenty of changes for East Fremantle with Lachlan Bailey, Corey Holmes, Alex Montauban and Nick Watson coming into the squad with Jonathon Griffin, Tom Monaghan, Dillon O'Reilly and Jordan Snadden going out. Subiaco does lose two quality premiership players in Ben Newton and Clancy Wheeler with Travis Cleggett among the inclusions.